Sazan Mandalawi, 20, will graduate from the University of Kurdistan-Hawler this year. But she and her family have only recently returned to their home city, after spending 10 years outside Kurdistan, to escape threats on their lives. In 1996, Sazan's father, Madhi Mandalawi, was working with the Kurdistan government, which directly opposed the Ba'ath regime, Saddam Hussein's party. 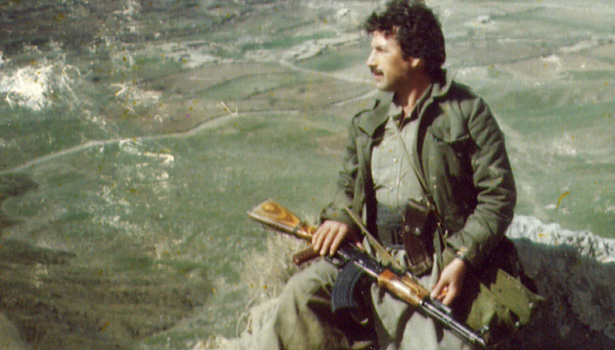 At that time, Kurdistan was unstable. There was an intense civil war between the two main Kurdish parties -- the Kurdistan Democratic Party (KDP) and the Patriotic Union of Kurdistan (PUK). Government officials in the region were often under suspicion of spying for an opposing party and Mandalawi was receiving continuous threats. Mandalawi knew he was in danger, so he went into hiding in an inconspicuous area of Erbil, the capital of the Kurdish region of Iraq. But early one morning, there was knock on the front gate to his house. "I went to open the door, and I asked, 'Who is it?' They responded 'It is us.' I thought they were my friends," he said. As he has opened the gate, two men stuck their gun barrels through the gate and jammed it open. At that moment, Mandalawi realized the threats had become real. He was carrying his young son Mivan. His wife told him to give her the baby and she handed her husband a gun. Aside from his wife and son, Mandalawi's mother and young daughter were also in the house. His wife, Hamdiya, ran inside and there were gunshots. When she heard the gunfire, Hamdiya became nervous and went upstairs with the children. "I though my husband was dead, as I heard continuous gunshots. I didn't want to live anymore, so I opened the door on the roof and wanted them to kill me too. But then I lost consciousness," Hamdiya said. Sazan, who was 6 years old at the time, said she remembers the night well, the sound of the guns and the screaming. "My mom held me close, and I thought my dad was dead," Sazan said. "I heard my mom praying. It was a very scary and noisy moment." Sazan's father, Madhi, said he tried to escape when he saw the gun barrels come through the gate. He climbed a nearby tree and the intruders couldn't see him. The electricity was off, but he could see them entering the house, guns firing. "I tried to confuse them," he said. "Though I could have killed them all, I knew if I did, their family would come for me. So, I kept shooting to distract them and draw them back outside." The intruders returned fire but they were firing randomly because they could not see Madhi hiding in the tree. After a while, the gunmen gave up and left. He went back inside the house to the kitchen where he saw his mother. "My mom had difficulty hearing, but she kept on saying 'Madhi, what happened to your wife and kid?' As she said it, I thought they had been kidnapped," Madhi said. Soon, friends and neighbors came to see about the noise. They searched the house for Madhi's wife and children and finally found them lying on the roof. "Thank God they were alive," he said. "I realized there was no longer a place for me in Kurdistan, so I decided to leave and go abroad. I couldn't live in southern Iraq either, because the Ba'ath regime was looking for me. I was working against them." In order to save his and his family's lives, he decided to call the United Nations for help and told them that his life was in danger in Iraq. They granted his request and he left the country with his family to Australia. "In 2003 I came back. it was the period close to Saddam Hussein's topple from power. Then after few years, Kurdistan became safe and I brought my family back home, Kurdistan," Mandalawi said. Spending ten years outside home, now Madhi's family live peacefully in Erbil, Madhi is now retired and Sazan has turned to a lady with lots of passion and ambition to improve Kurdistan . Sazan says "no place like home", being far from home has taught her what home means. Sazan says even though living outside home could be nice but nothing could reach my country from the sense of longing it gives me. sad to say this story is right to other people in Kurdistan.but the good news is that Kurdistan is no more threat to anyone.i know sazan xan through her writing.this is the first time i hear this story and made me too sad.she is promising girl and beautiful future waits her.i hope you to live the rest of your life in peace.